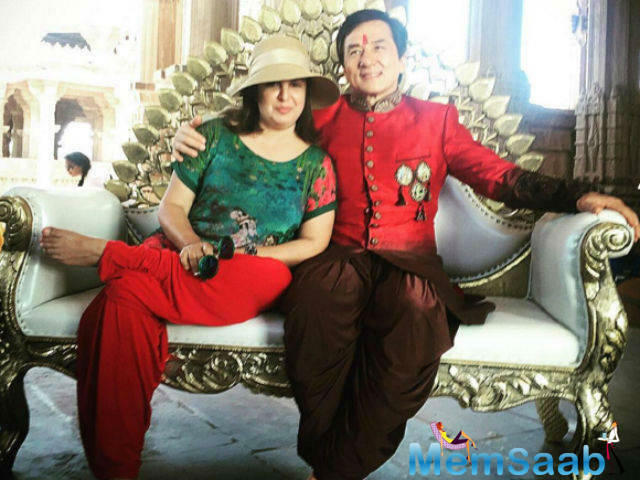 Farah Khan is choreographing Jackie Chan in Kung Fu Yoga. 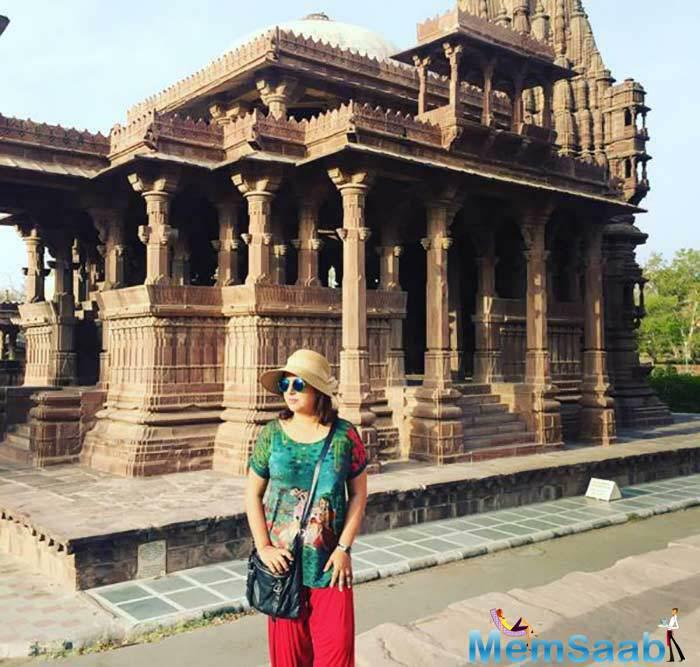 Bollywood famous filmmaker-choreographer Farah Khan is choreographing Jackie Chan in Kung Fu Yoga and they Dazzled Jodhpur With Their Kung Fu Yoga. 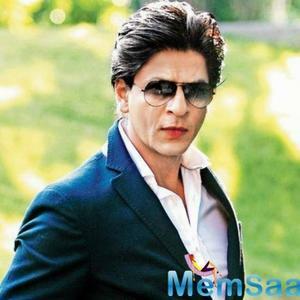 From King Khan to King Chan, film producer-choreographer Farah Khan's CV just got more impressive. 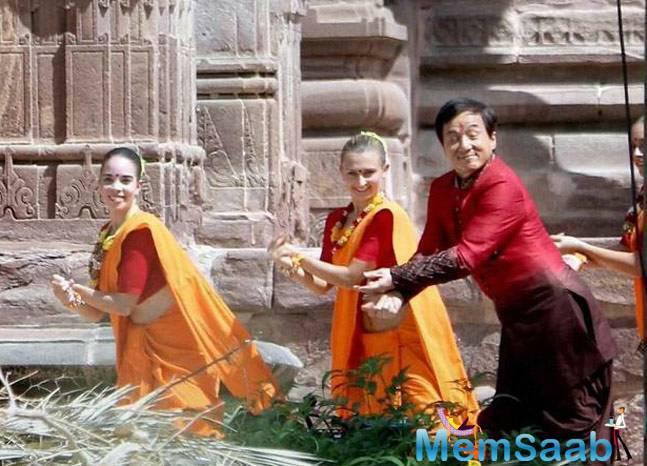 The Happy New Year director choreographed Hong Kong film industry's biggest superstar Jackie Chan for his upcoming film Kung Fu, Yoga in Jodhpur and said that it was a wonderful experience. And they seemed to have had a great time as well. Amyra was at her ethnic best in a purple and yellow lehenga choli. 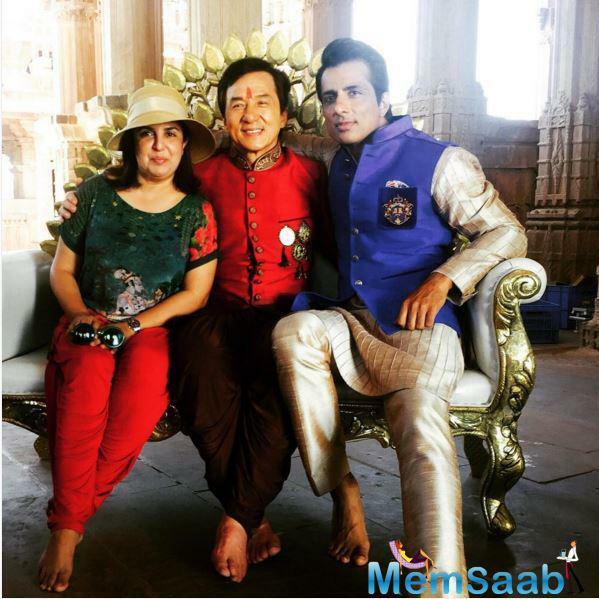 Sonu Sood looked handsome in a blue Nehru Jacket worn with a cream kurta but it was Mr Chan who was the star of the show in a traditional red kurta, the red Tilak accentuating his Indian look. 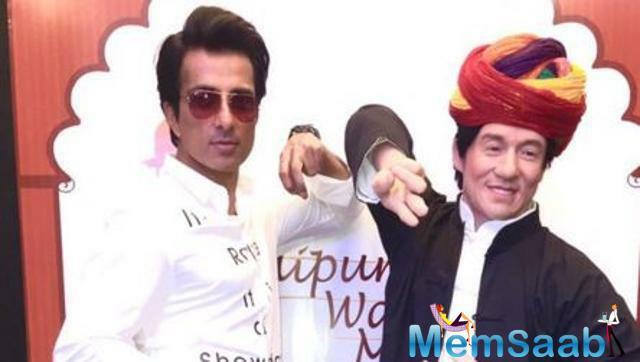 Kung Fu Yoga is an upcoming multi-lingual action-adventure film to be directed by Stanley Tong. 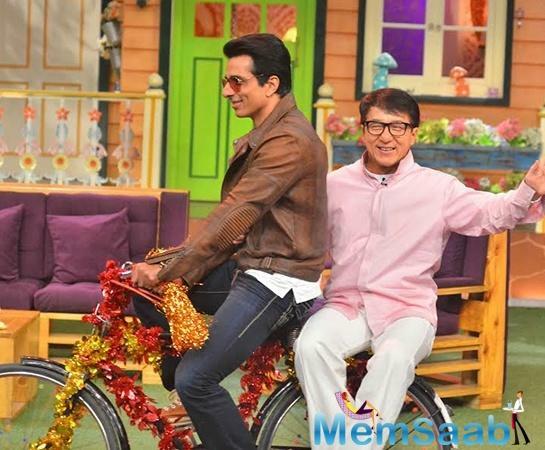 Which also stars Sonu Sood. ‘It was fantastic. 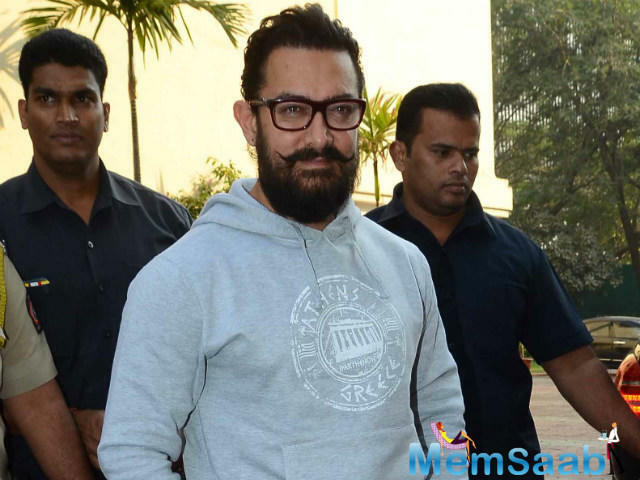 He is 60-year-old but behaved like a newcomer on the sets. He was there at 6.30 am. We are not used to people reporting on time. He threw a lavish party for us last night and I am looking forward to the schedule in Beijing’, said Farah. Farah alleged Tong is also a wonderful guy. His brief was that they required a huge, happy Bollywood number. I asked them about the lyrics, but he stated, 'Don't worry about the lyrics. Just make sure you can dance in them'. 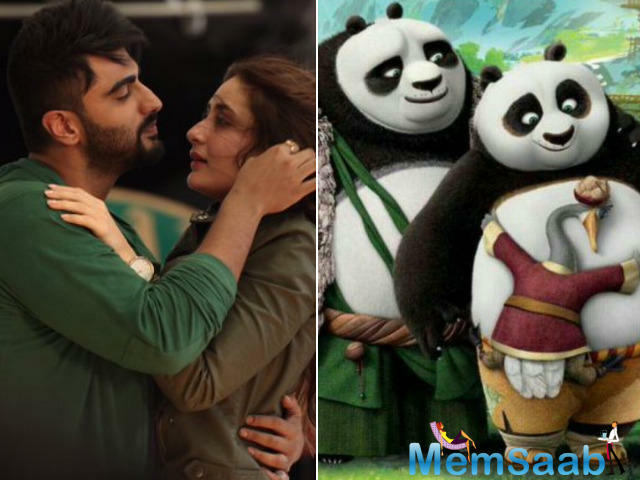 Farah said that Kung Fu Yoga director Stanley Tong is 'wonderful. 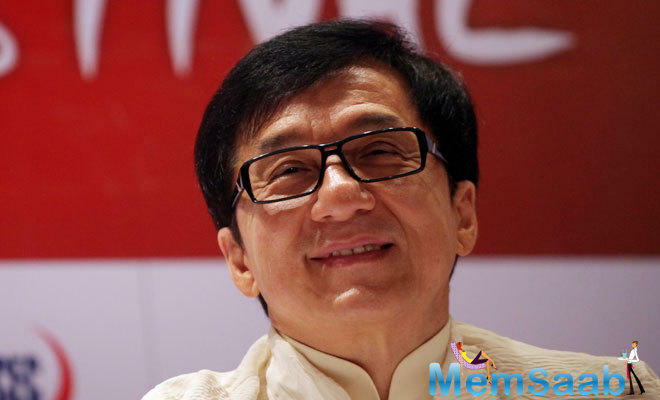 And Jackie Chan also threw a lavish party for Farah and her team. The lyrics wouldn't matter because they are in Chinese. The remainder of the agenda is to be filmed in Beijing, where a lavish set awaits Farah and her squad. Farah is known for her quirky sense of humor as far as her films survive. 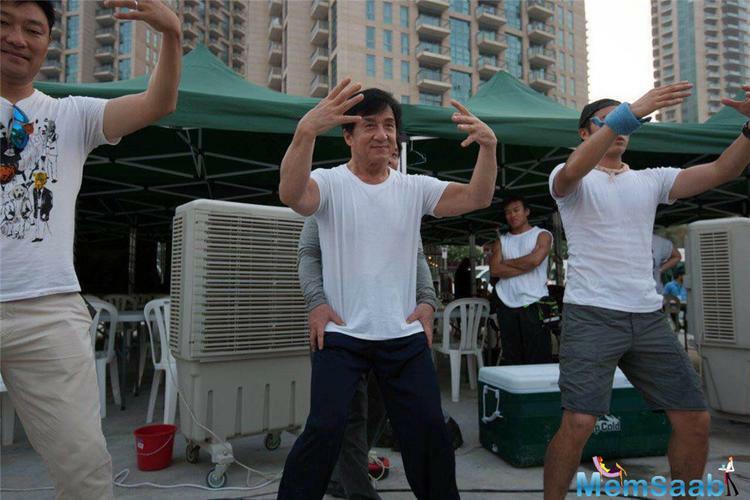 Jackie Chan, on the other hand, is also a pioneer of sorts when it comes to Kung Fu and comedy. Yes, we have that in common. We both love a good laugh. Let's see. Maybe, he will say yes to a cameo in one of my films. 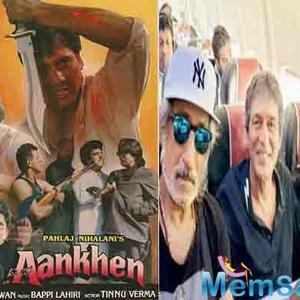 Or at least, choreograph one of the film's action sequences’, Farah signed off. 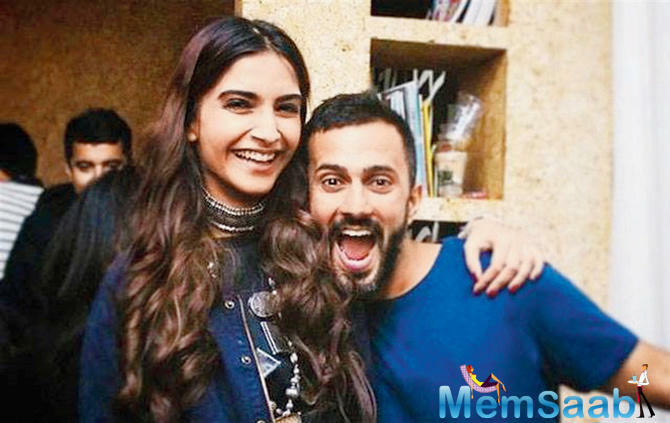 Farah Khan to choreograph Sonam Kapoor’s Sangeet; preparations on in full swing?